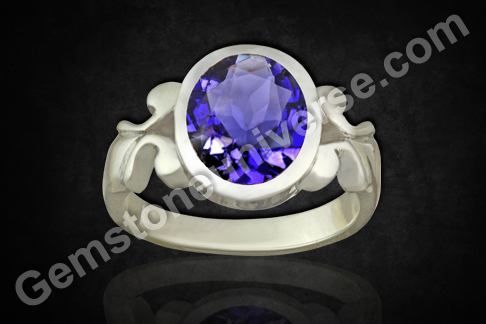 Mesmerizing Blue Violet Iolite/Neeli the Gem for Saturn set in a Silver ring. – What are the Iolite Colors? 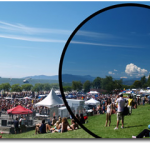 – Iolite-The world’s first polarizing filter. Comments What is the Iolite Gem Used for?Iolite also known as the Neeli in the sacred texts is the uparatana for Blue Sapphire. In some dialects it is also known as Kaka Neeli. Profound in its impact wherein may people consider its powers equivalent to the Blue Sapphire this Gem in Sanskrit is also called as Shani Priya– Much Loved by Saturn. In crystal healing and Chakra healing Iolite is used for the crown Chakra. What are the Iolite Colors? Iolite is a Pleochroic Gemstone exhibits very strong Pleochroism. Also referred to as Dichroite it exhibits intense Violetish Blue, purplish blue, Light Blue and yellow gray Colors when viewed from different angles. 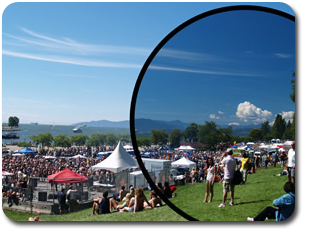 Iolite in history and folklore- The world’s first polarizing filter! Iolite is known as the compass of the Vikings. The Viking Sailors used very thin Iolite pieces to look at the hazy sky or overcast conditions to determine the exact position of the Sun to set the course. Natural Iolite in far sizes is rarely eye clean. To recognize a natural Iolite look for grains and crystal of Silica inside the Gemstone. Featured here is a fine Iolite of 3.57 carats mined in Madagascar. This lovely also exhibited a Purplish Blue Shade once it was set in the Silver ring and a high degree of Pleochroism. Lovely shade and play of color, electric brilliance, symmetrical cut and looks as alluring as a Blue Sapphire. 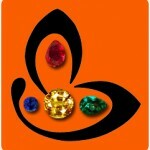 Wonder why some people classify it as a Semi Precious when such Gemstones make the grade as jewellery Grade. At Gemstoneuniverse everything is precious. With such Uparatanas people are reporting excellent results.